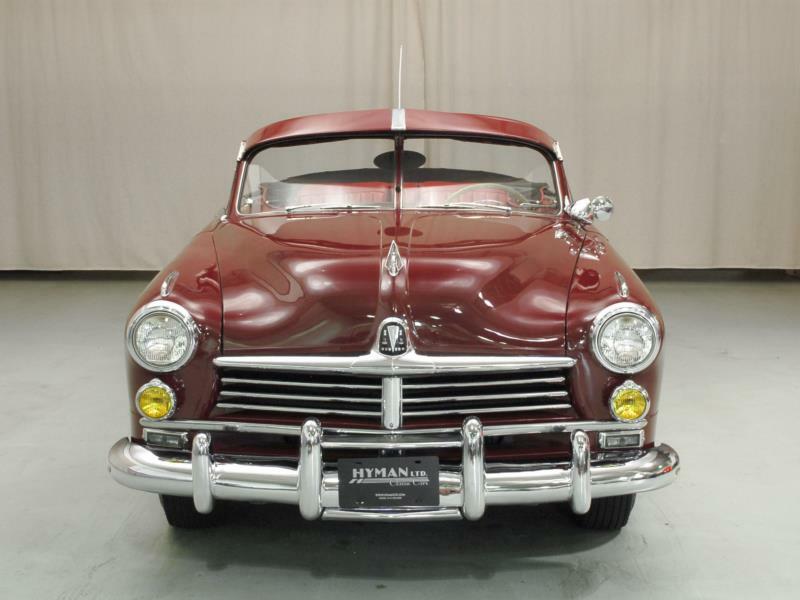 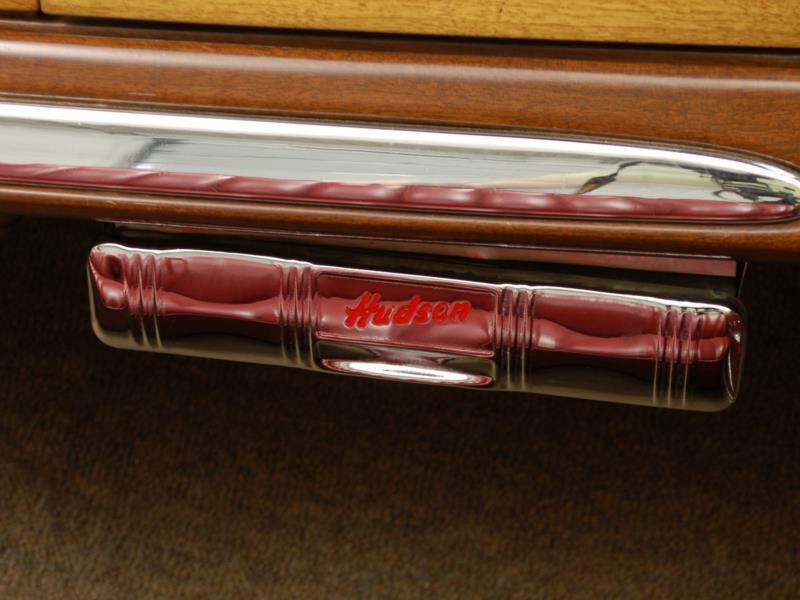 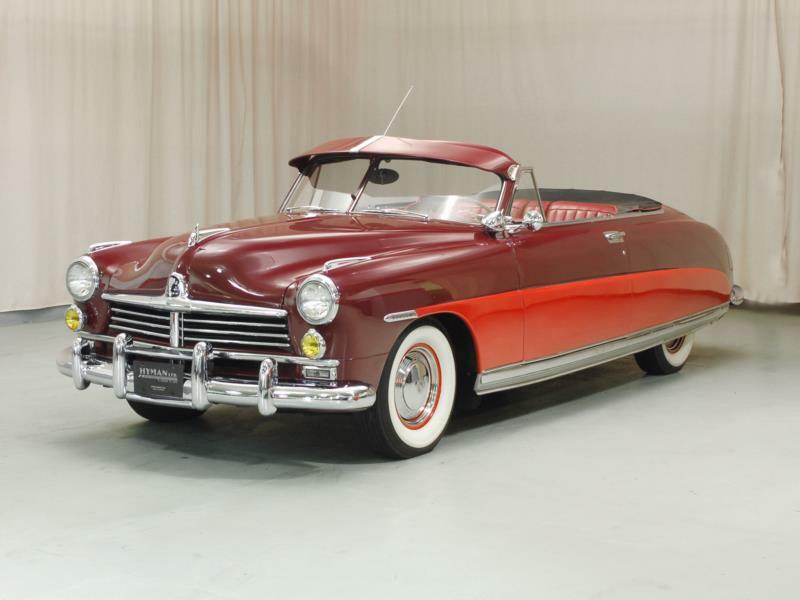 Hudson set the U.S. auto industry on its ear in November 1947, with its new 1948 “step-down” unibody sedans. 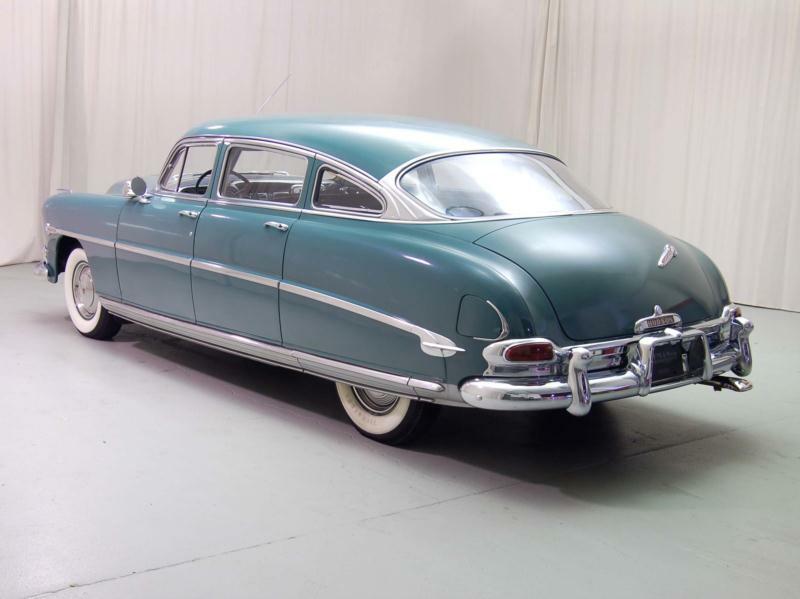 Even more remarkable, the company retooled to build the much bigger cars in only 23 days after the last 1947 model left the line. 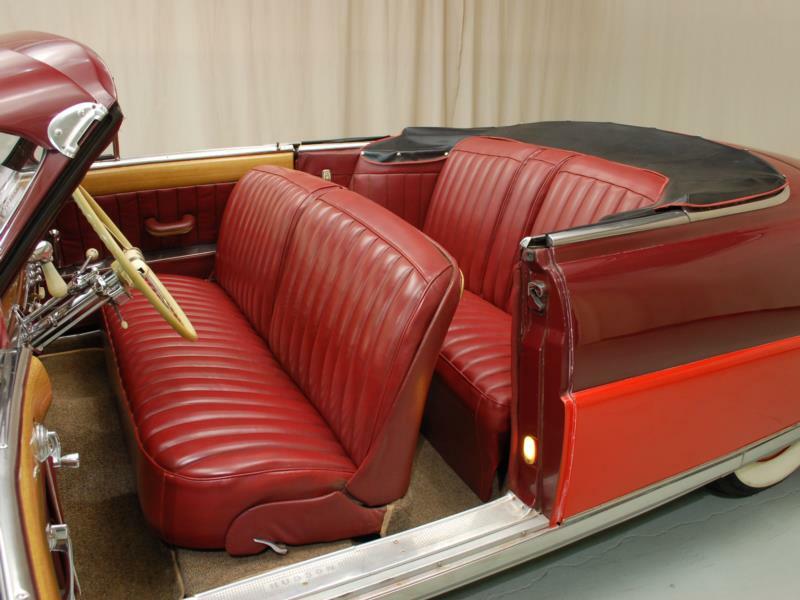 The new Hudsons were offered in Super Six and Super Eight forms and the high-line, Commodore Six and Commodore Eight. 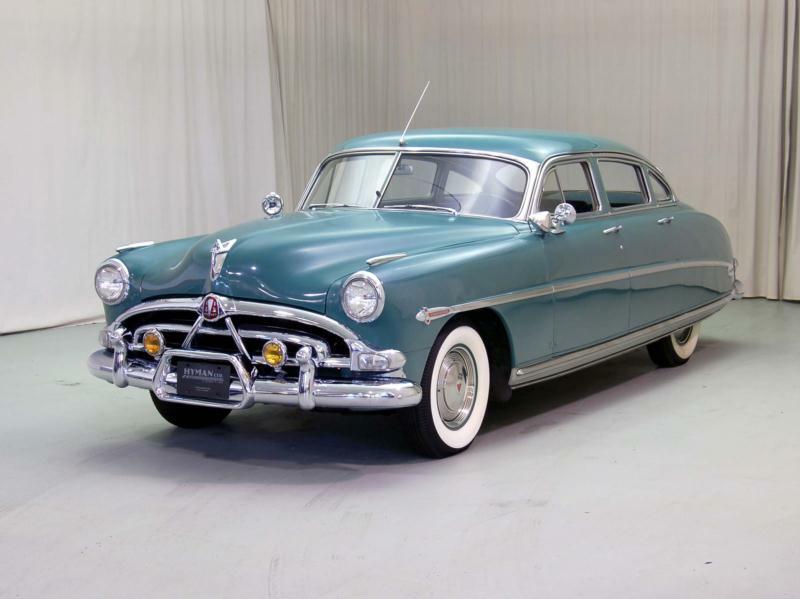 The new Hudsons were offered in Super Six and Super Eight forms, with the Sixes using a 121-hp, 262-cid flathead six-cylinder engine, and the Eights relying upon a 254-cid, 128-hp straight-eight motor. 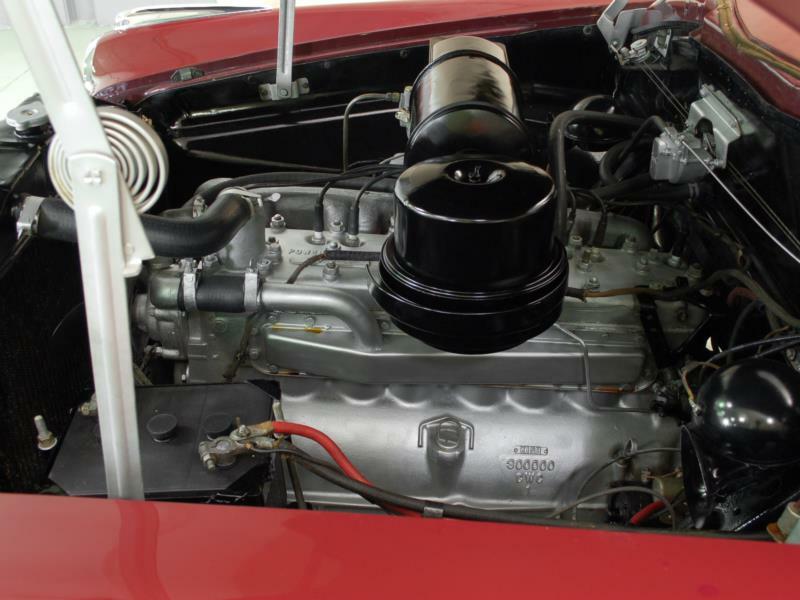 Production of the Commodore for the model year totaled more than 60,000 with over half being eight-cylinder models, while the Super rang up slightly lower than 55,000 sales. 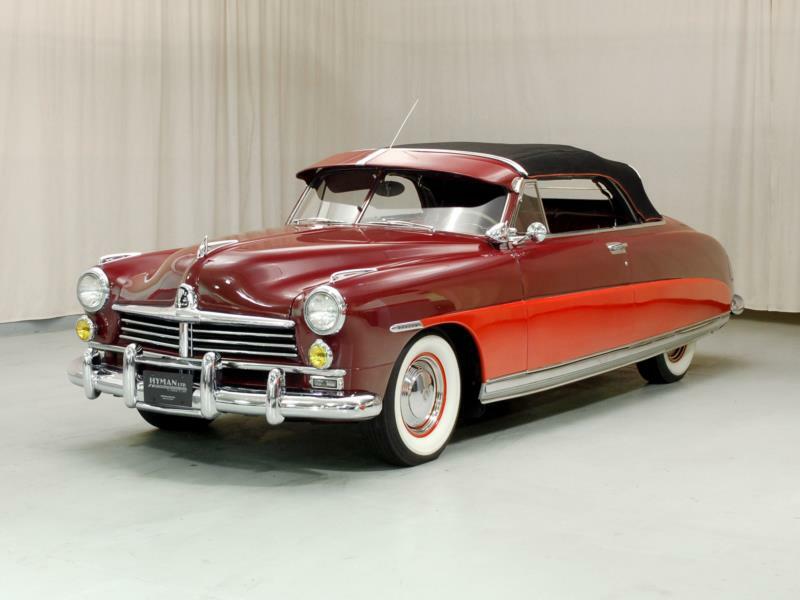 A convertible joined the Commodore coupe and sedan late in the year, but only 49 Commodore Six drop tops and 65 Commodore Eight convertibles were built. 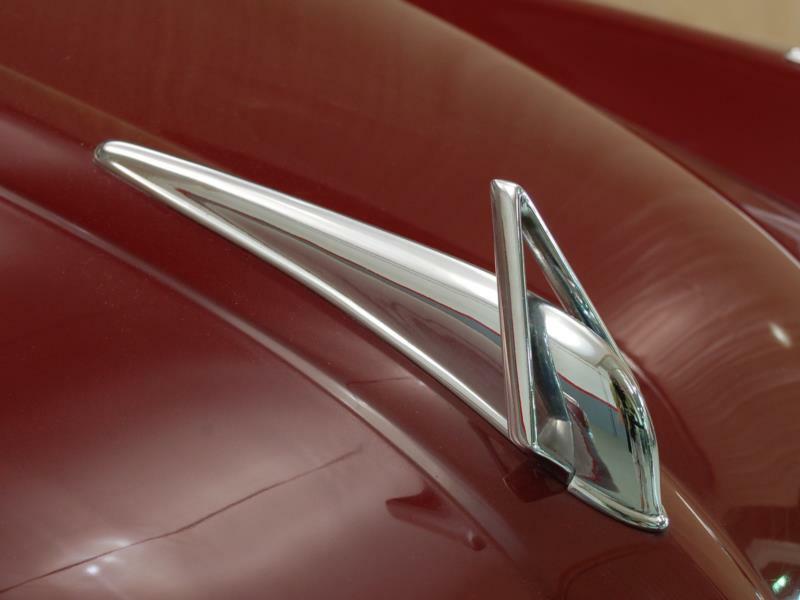 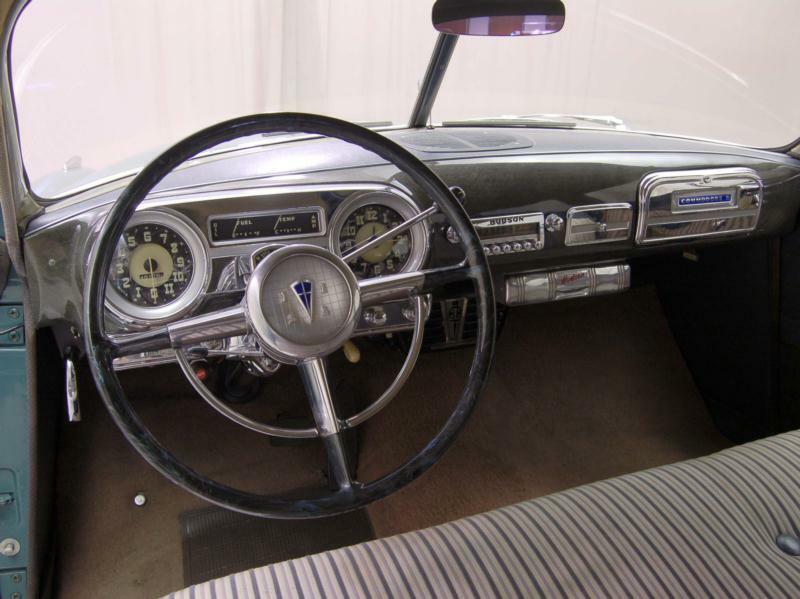 Both the Super and Commodore were available only in solid colors, and the convertibles were notable for the broad header bar over the windshield, which avoided a curved seal. 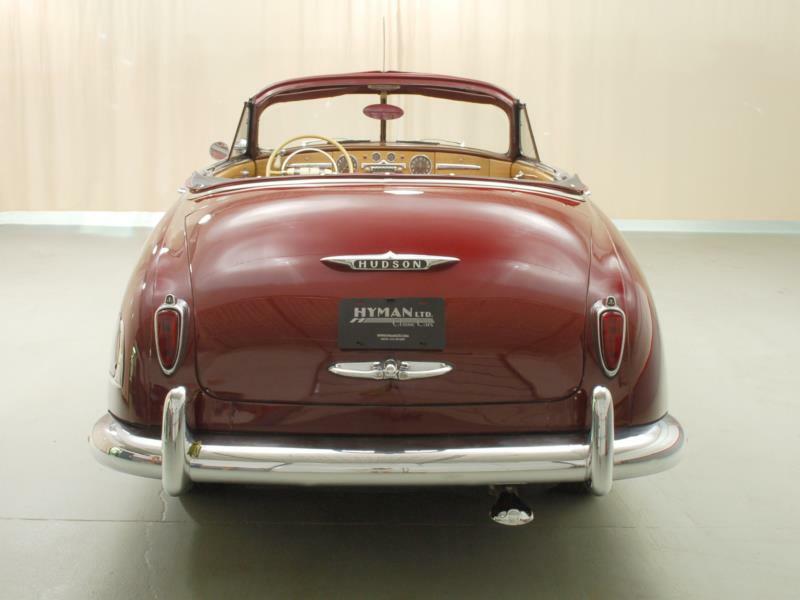 The new design was aerodynamic and surprisingly fast, and set the car apart from most everything else on the road. 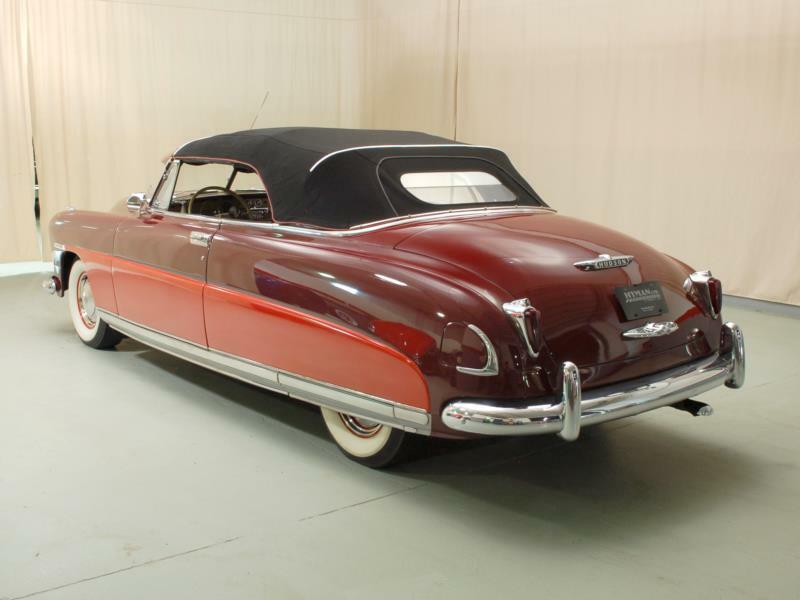 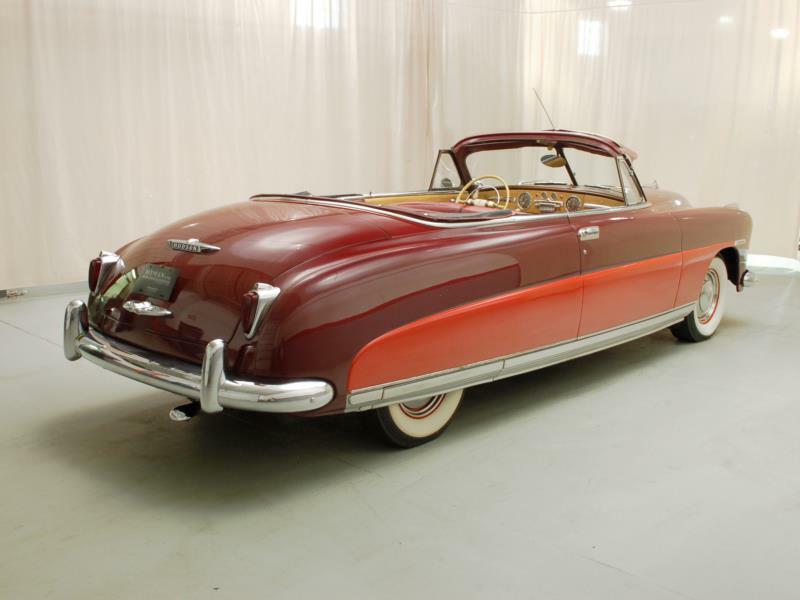 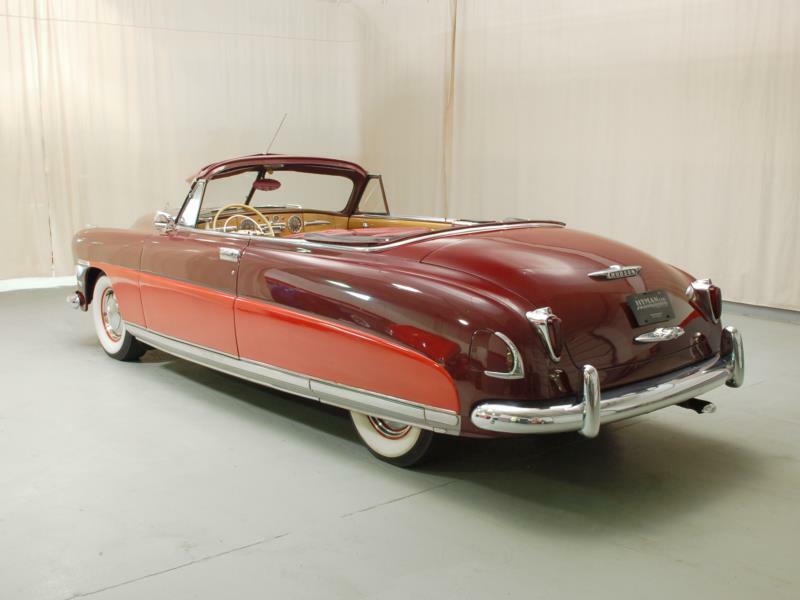 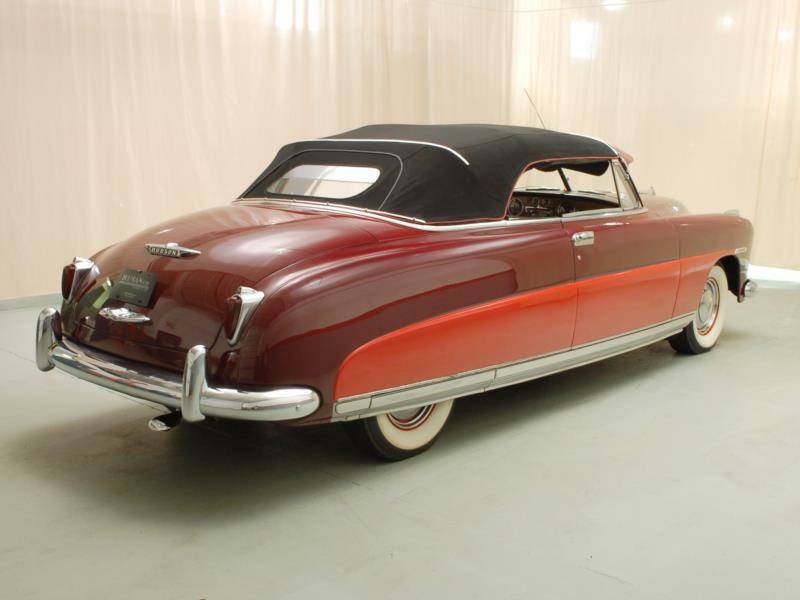 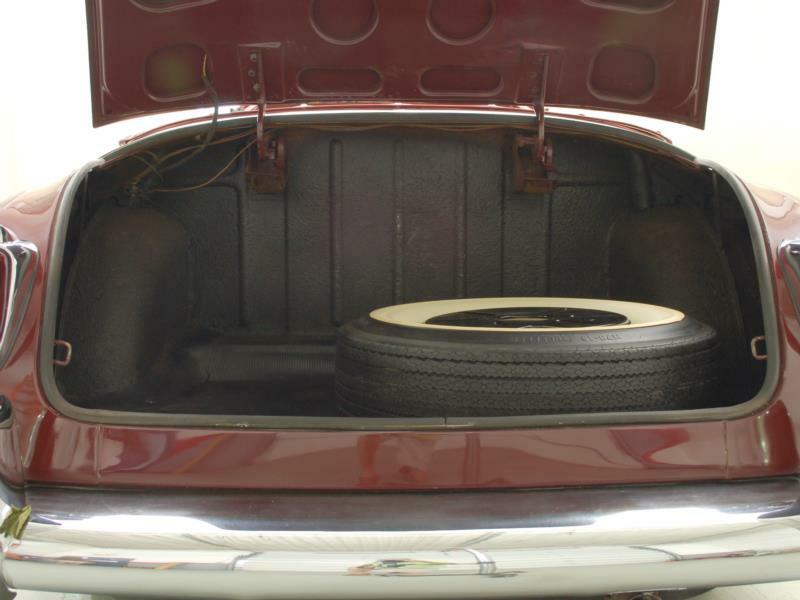 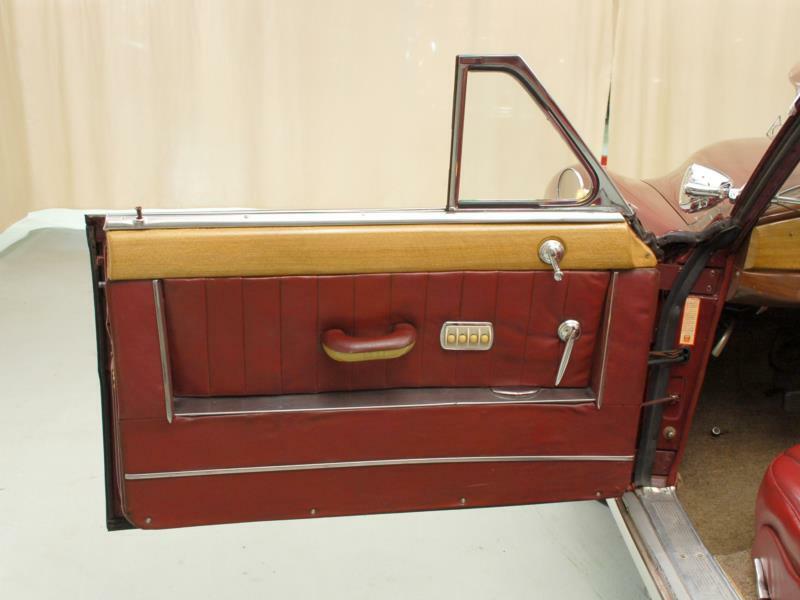 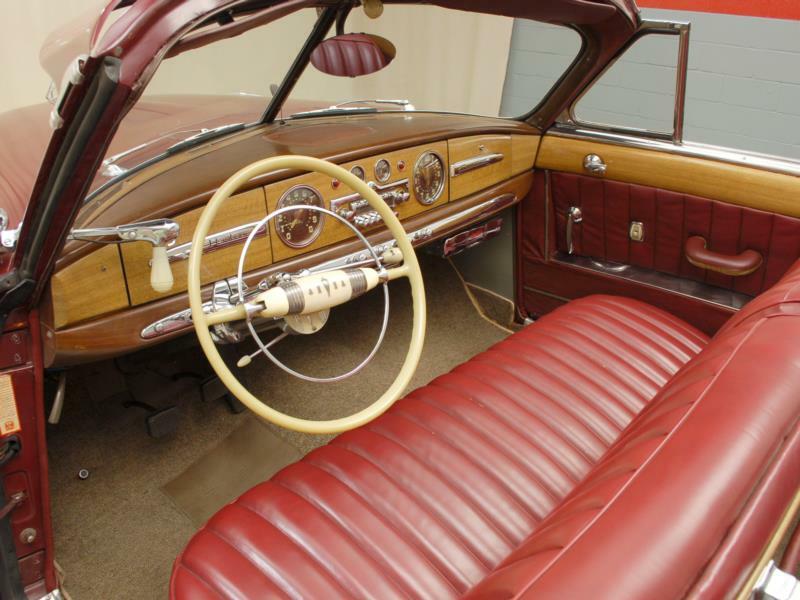 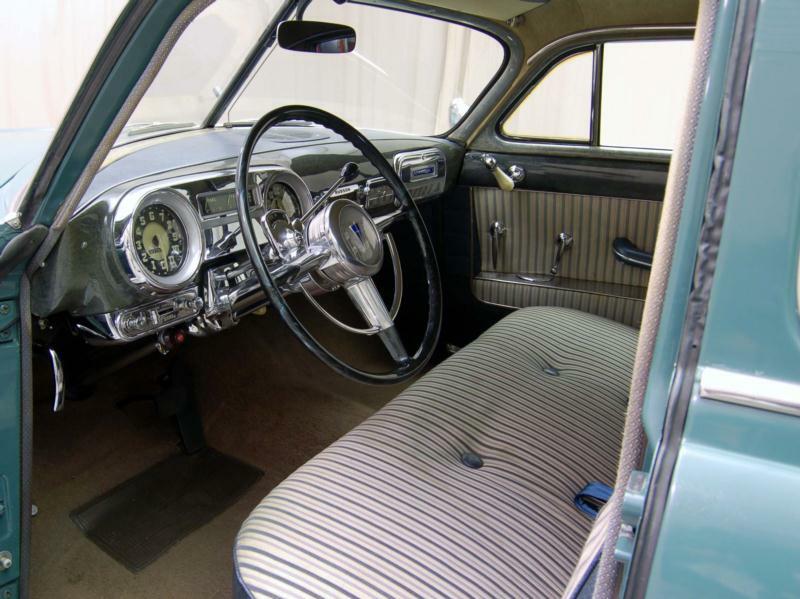 The unibody made the Hudson Super and Commodore lighter and stiffer than more conventional designs, and also reduced weight, all of which meant the cars were actually quite capable. 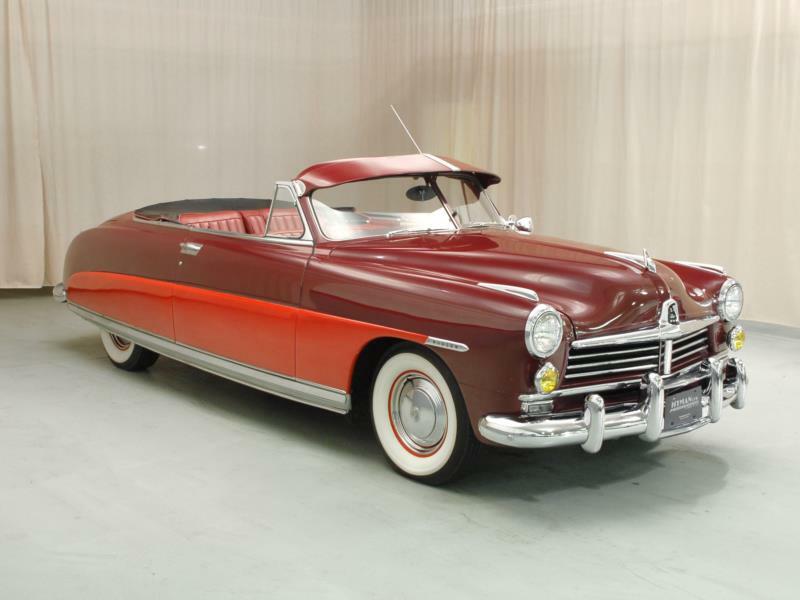 Changes to 1949 Hudsons were limited to interior details, and the 1950 models received little more than a grille change that superimposed Hudson’s triangle on four horizontal bars, and is most immediately recalled today as the “Hudson look.” The 1951 model year saw a Hollywood hardtop appear on the Commodore line, though Commodore sales were overshadowed by the debut of a new flagship model, the Hornet, which could be ordered with a potent Twin H-Power motor. 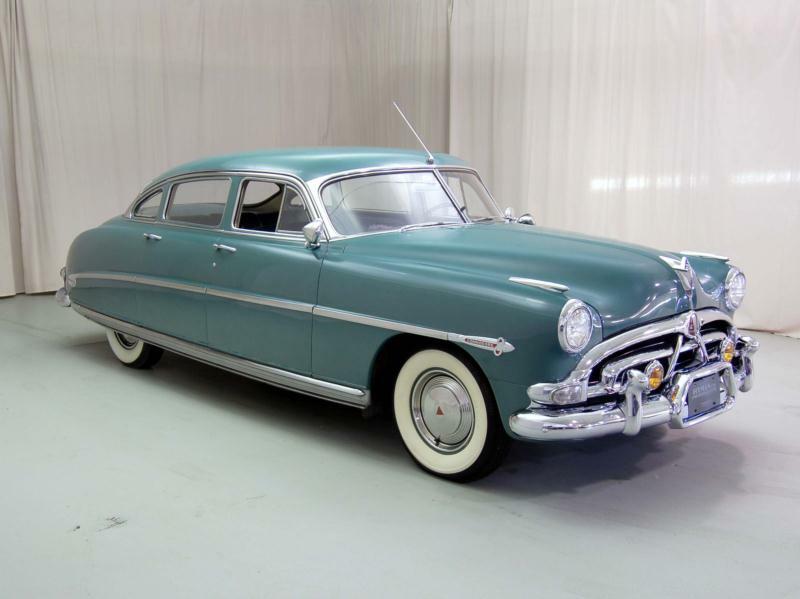 By 1952, Commodore sales totaled less than 6,000 units, and the model was dropped, one year after the Super left the lineup. 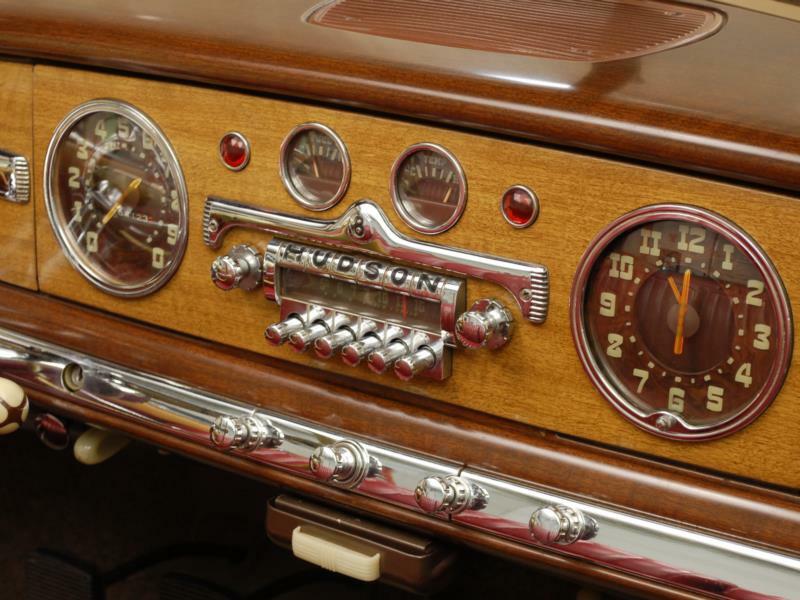 Step-down Hudsons are remarkably fine road cars, and good examples can still be found. 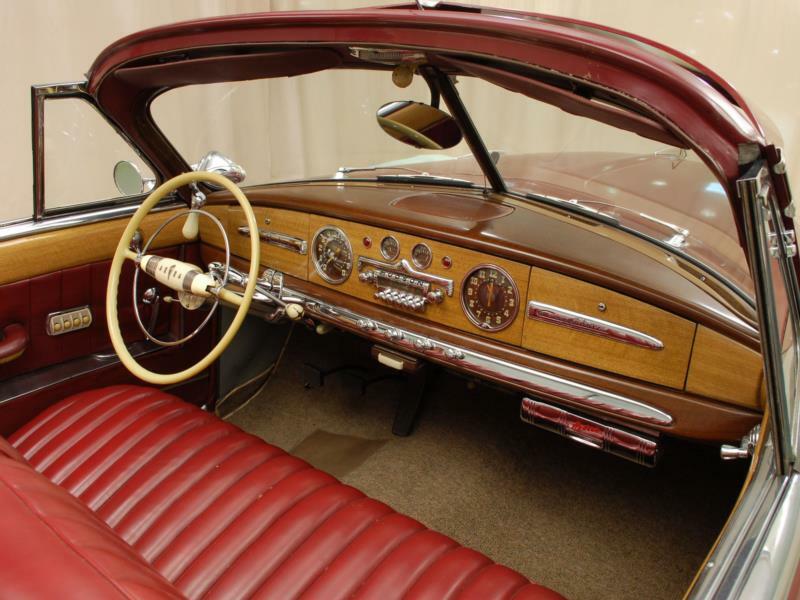 Unless continually garaged, they are best bought in dry climates, as rust issues can be hard to repair. 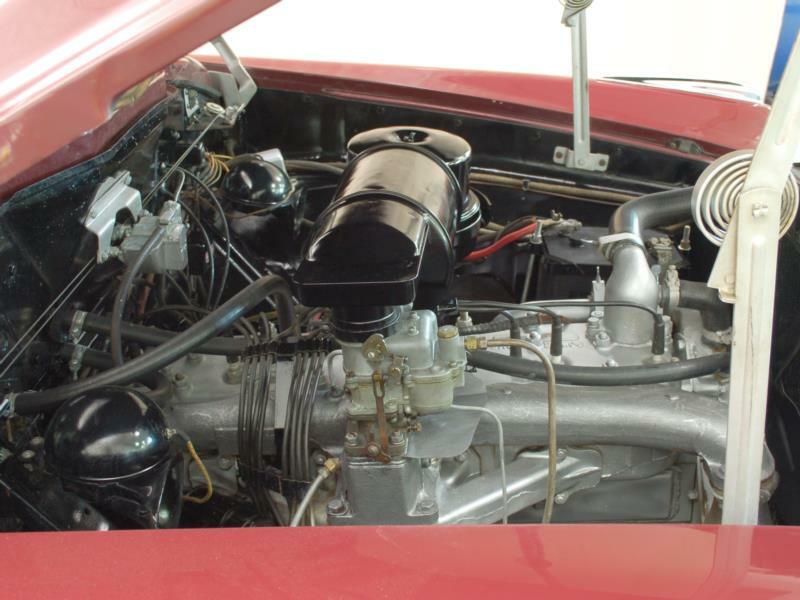 The models changed little for five years, so parts interchangeability is quite good. 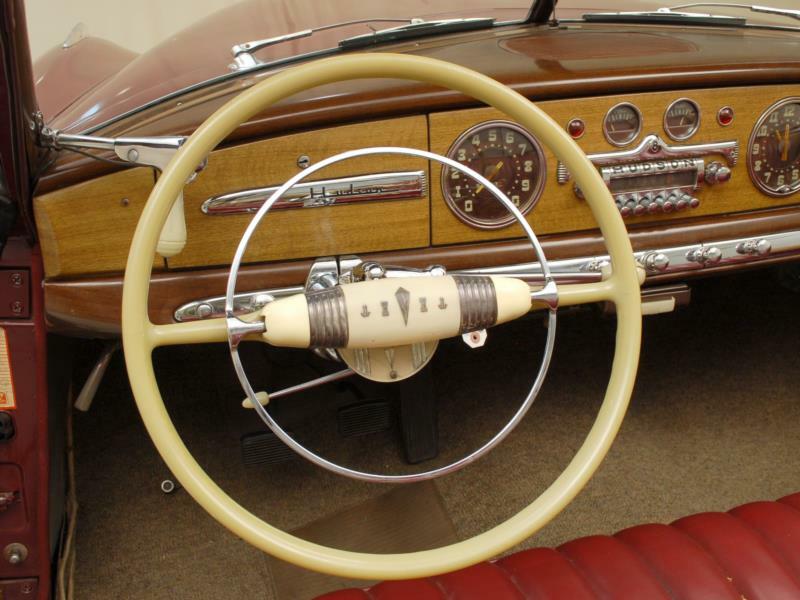 The Super and the Commodore trade at a discount to the more famous Hornet and Wasp, with the later models being the most sought after by enthusiasts due to their more recognizable features.